Too many people buy get-rich-quick scheme fantasies like those you see on television every night. They thrive on the idea of purchasing a book or a DVD set that will make them money. Business reality #1: Making money with a business is more difficult than any job out there. 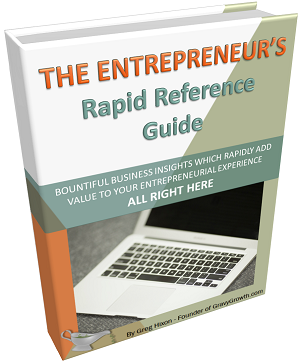 Do you have the entrepreneurial mindset to succeed in business reality? It doesn’t matter what proven recipe you decide to purchase on DVD. If you’re not willing to hustle AND if you don’t have the ENTREPRENEURIAL MINDSET, those DVDs will remain unopened FOREVER. Please don’t waste your $50. If you’re willing and ready to work harder than you ever have before, think about bringing your own ideas to reality. GravyGrowth.com has been a platform for you to learn the many aspects of entrepreneurship like launching a business startup. And it’s been great! 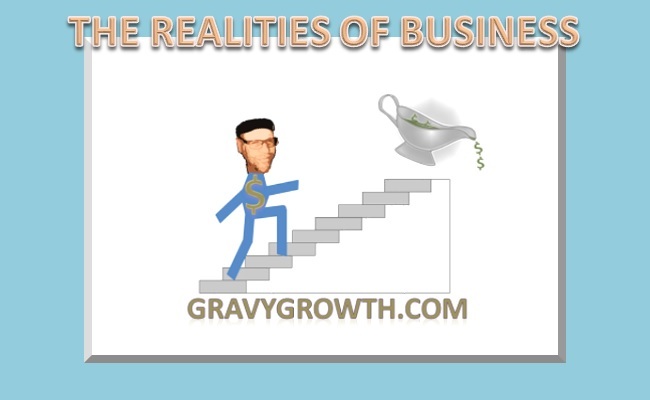 The feedback I’ve received has PROFOUNDLY shaped how I write blog posts on GravyGrowth.com. A theme has emerged which will benefit you greatly – BUSINESS REALITY. I strive to unveil the realities of business in every blog post that I write. Once you understand business reality vs the fantasy of fast money, you can chart your course to success. Many deceptions exist out there, which skew business reality. So you need a good source for the truth. I write blog posts on GravyGrowth.com to provide insight for you to advance successfully – no hype – no unethical or self-serving tricks. Far too many people start doomed businesses. The business failure rate is eight out of ten in 18 months. So, please look at the cons of business first. Business reality must be fully understood. And you should’t launch a business startup unless you have what it takes to succeed! Failing at business is the most common business reality. And it can be very devastating to you and everyone connected to you. You may lose your house, end up divorced, become disassociated by everyone you know and worse – you could end up on the street – food stamps. Business planning is necessary to achieve success, regardless of your industry. Your decisions must to be calculated. And they should only be made after performing proper due-diligence. You’ll avoid being blind-sided by the unexpected. As a military General, would you go into battle without a plan? Of course not! So why would you launch a business startup without one? The marketplace is a battle-field, filled with foes ready to fight (compete) with you. Working for someone else, but wanting to work for yourself? Have an MBA but not using it to be an entrepreneur? There’s a valid reason for this. Entrepreneurship is risky and it’s scary. Entrepreneurship is much scarier than jumping out of an airplane with a parachute. Your chances of survival when skydiving are 99 point something percent. When you look at business reality, you’ll see that your odds are terrible. Most businesses fail! The good news is, your entrepreneurial tendencies can be developed. And you don’t need an MBA to do it. That being said, not everyone is cut out for it. You must evaluate yourself, honestly. I can help you with this! Budgeting is important, right? Business owners must plan their financial strategies…that’s what I’ve been taught! Is it true? It may shock you, but…not always! Believe it or not, business budgeting must be limited and kept in-check. Otherwise, your business-growth action-items may fall to the wayside. The lack of growth which ensues will hurt your business. Understanding what the public finds important or appealing is an underestimated hurdle. Knowing what the public can afford or is willing to sacrifice for is one of the scientific realities of business. So Market research is an on-going action-item. What you think the public wants may not actually be the case. Unless you’re an extraordinary visionary like Elon Musk, or the late Steve Jobs, don’t be stubborn about this. Do the market research and trust the data, even if it goes against your thinking. This will mitigate the risk, and move the odds in your favor. Are you looking for tricks and shortcuts to launch your business on the FAST-TRACK? Do you like instant foods? Made-from-scratch is better right? This concept exists with business too. And tricks almost always defy the realities of business. Shortcuts and tricks…gaming the system, can work well in so many areas of life. In school, Cliffsnotes can help you succeed without doing the homework. At work, sending emails to your manager and colleagues late at night will make you look super busy. This works, because perceptions are so important. There are many more ways to game the system. Some may be ethical, but most aren’t. Some may provide quick success, even if you don’t deserve it. When it comes to using tricks, that success won’t last! Branding success means having a loyal target audience. It means you’ve achieved real customer loyalty. When your target audience is promoting your company with word-of-mouth marketing, and they’re disgusted whenever viewing an ad from your competitor, you’ve successfully driven the value of your brand deep into their hearts! So what is a brand? Is it your company name in combination with your logo and tagline? Maybe it’s your positioning statement or motto. How about your mission statement? The simple truth – these will all make up the content of your brand. But by definition, branding is a permanent mark. It’s something that sticks in the mind of your target audience. The need for successful branding is one of the most important business realities! Inspiration comes in many forms. But when you’re inspired to start a business after you fully understand the realities of business, there’s nothing more fulfilling than developing a vision for your idea. Entrepreneurial vision is defined the same way as prophetic vision. It’s the act of anticipating what may come to be. So let’s look at how to develop that! Whether you’re an entrepreneur or not, you should always do your “not to-do list” first. Remove the things which stand in your way – those things which slow you down. In your personal life, watching television, snacking, and sleeping-in should all be reduced to a minimum. Regarding business reality, I’ll reveal some bad customer service habits that will eventually cause catastrophic failure. Entrepreneurs are the most hard-working, focused, and driven people on Earth! They have a clear vision to turn their ideas into something tangible – something that will sell for a profit. There are stand-out differences between entrepreneurs and normal working folk. One difference has to do with sanity. Entrepreneurs are slightly crazy, but in a good way! And The difference between entrepreneurs and normal working folk are like the difference between military personnel and civilians. Except entrepreneurs command themselves – they are their own boss. Can You Launch a Business Startup Without An MBA? Having an MBA represents your understanding of management and business fundamentals. It provides you with the tools you’ll need to manage a business properly. But here are the business realities: Most businesses fail. And most businesses are started by people who don’t have their MBA. So is that the reason why they fail? Why Did I Suffer Business Startup Failure? A business startup should never be like a box of chocolates. You should always know what you’re gonna get. So prior to launching your business startup, earnestly perform your business planning and market research. It’s imperative! But when you DON’T get what you expect, you shouldn’t have to suffer failure. Obtain and apply the tenacity needed to course-correct quickly. Or, capitalize on it when it’s better than expected! 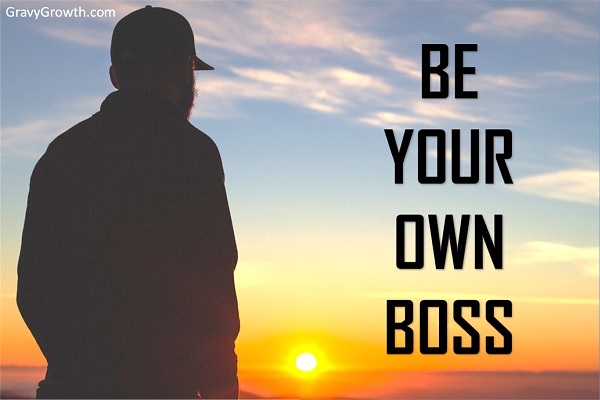 So, what does it REALLY mean to be your own boss? One business reality is that you WILL be your own boss. That means nobody else will direct, guide or evaluate your progress. What do managers do? What do they control, expect, and provide? The answers will reveal what you must manage if you wish to be your own boss. An industry game-changer will challenge and then change the status quo. To change the status quo means to create a new market structure – how business is conducted in a specific industry. You’ll face high risk, but you may realize the HUGE rewards! 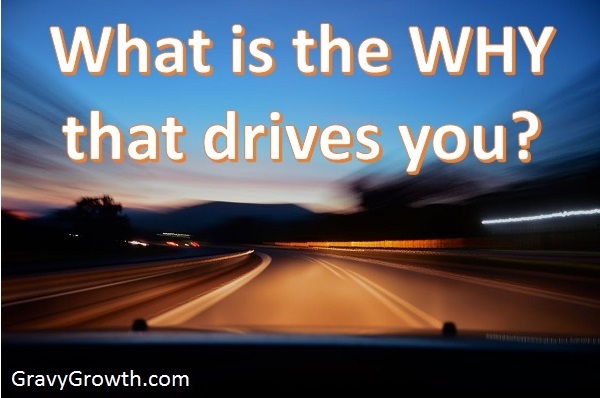 The object here is to compete with the status quo instead of your competition. Present a new and exciting way to do business in your industry. “Happiness is only real when shared” – Christopher McCandless. If that’s true, is success only real when shared? Obviously, you CAN be happy alone. But how much better is your happiness when shared with another? The same can be said about success. Indeed, there are many successful sole proprietors. But two heads are better than one, right? I hope you’ve enjoyed and learned from my blog posts on GravyGrowth.com. My goal has always been to reveal business reality in every topic I cover. 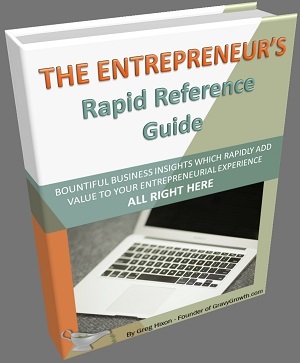 And I always seek to reveal novel insight along the way to help you gain an edge as an entrepreneur. Thank you for visiting. I look forward to providing you with much more in 2016!